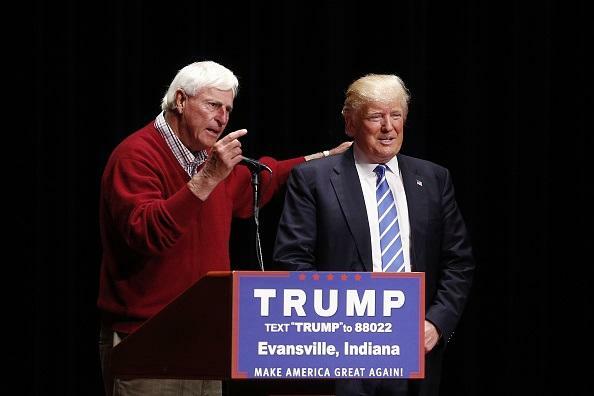 Former Indiana University basketball coach Bobby Knight, a three-time national champion, looms large in the hoops-obsessed Hoosier State. He's famous for winning but infamous for bullying reporters, hurling chairs and choking his players. Grown tired of the outbursts, Indiana University canned him in 2000. The now-retired coach shunned the college and left the state. But he made a recent exception, introducing Republican presidential candidate Donald Trump at an Indianapolis rally days before the Indiana primary. The 75-year-old Knight donned Indiana's crimson red and was in his typical bombastic form. "They're going to take all you people and put you next to our Founding Fathers and George Washington. That's what the hell they're going to do with you people," Knight said to a raucous crowd. Trump leveraged Knight's support leading up to Indiana's vote, posting over and over about it on social media. He won Indiana and in the process became the GOP's presumptive nominee. Afterward he made sure to thank Knight by name in his victory speech. At perhaps the critical moment of the campaign — the death blow to Texas Sen. Ted Cruz's presidential ambitions — Trump tellingly leaned not on a seasoned politician for an endorsement, but rather a sports hero. No candidate in recent memory has racked up endorsements from the athletic world like Trump — by International Business Times' count he's locked up at least 36 people from the sporting world, either with full endorsements or public comments that skated right up to the edge of an endorsement. And the names are formidable. "The fundamental point to me is that Trump is flying on the wings of a super-male doctrine of claims to toughness and his relentless expressions of aggression," said University of Texas professor John Hoberman, a social and cultural historian who has written extensively on the intersection of sports and politics. "This is an atavistic male ideology that survives in the NFL and elsewhere in the sports world." The 2016 presidential campaign, which has seemingly narrowed to Trump vs. Democratic front-runner Hillary Clinton, has been frenetic and atypical, largely due to Trump. He's insulted wide swaths of the population, including Mexicans, Muslims, women and African-Americans, but nonetheless locked up the GOP nomination. 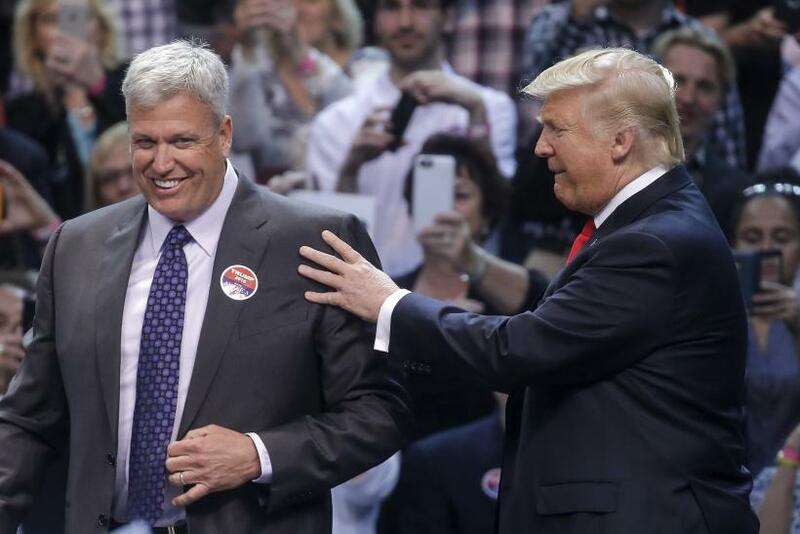 Sports typically serve as an escape from so-called serious issues like politics, but athletes have increasingly waded into the 2016 election fracas to lend a hand to Trump. Sure, Clinton has picked up some reliably liberal endorsements like NBA legend Kareem Abdul-Jabbar, former NBA player Jason Collins (the first openly gay athlete in a major U.S. sport) and tennis legend Billie Jean King, but the former secretary of state hasn't kept apace with the growing ranks for Trump. While there are signs the paradigm is shifting, athletes are traditionally hesitant to take strong off-field stances. You don't want to be labeled a "distraction," and Nike, after all, wants endorsers with a wide fan base. If anyone understands how sports and politics intersect, it's Steve Largent, both a Hall of Fame wide receiver who played 14 seasons in the NFL and a former Republican Oklahoma congressman who was re-elected three times. He wasn't particularly sure why so many athletes and coaches have jumped onboard with Trump. "It seems like they really don’t know much about politics," Largent told International Business Times. "I think he's actually a terrible politician, and maybe that’s the attraction." He called the sports endorsements "eye candy" for politicians, a nice flash in the fight for the news cycle. There are a few obvious reasons athletes might be drawn to Trump. For decades he's been an inhabitant of the same New York/Los Angeles-centric celebrity circus as sports stars have. Athletes also often spend their offseason or retirement golfing, and billionaire Trump owns 18 world-class golf courses and was ranked last year the 11th most powerful person in the game by Golf Inc. Magazine. "He's had a very active social life as a celebrity in New York. 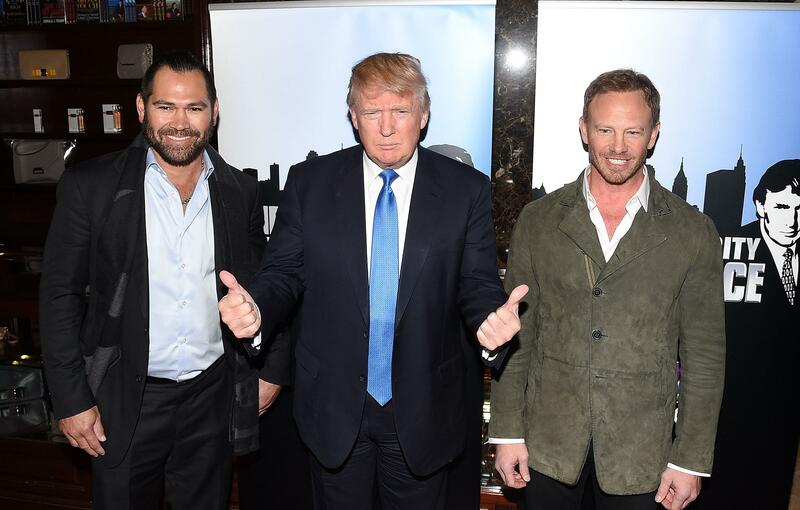 … He has met everybody at his golf tournaments," Hoberman said. "The way he has socially circulated he would have met a lot of pro athletes and he shares the role of celebrity with these people. I think we can assume he has met just about everybody." And the endorsements from athletes hint at these motivations — they support Trump because they know Trump. "The main reason I'm endorsing him, I've played in his golf course, I've stayed in his hotel," former Notre Dame coach Holtz said on video in announcing his endorsement. "He does nothing but go first class in everything. He wants this country to be first class, as well." Brady, who decorated his locker this past season with a "Make America Great Again" hat, said he was supporting a friend who has "always invited me to play golf," in his careful non-endorsement comments. Daly posted a photo of the two at a golf event. "Everything he does, he does first-class — his hotels, his businesses, his golf courses. The issues all the other politicians failed to discuss, [Trump] is bringing us up to speed," former Red Sox outfielder Damon said. The second half of Damon's endorsement gets at another reason for Trump's popularity among athletes. He talks in a brash, if rambling, style familiar to athletes. He alternates between trash-talking his foes and pumping up his successes. "There's going to be a number of [athletes] who are going to see themselves in Trump," Hoberman said. "It’s the same kind of ethos. The machismo is a shared value." Trump is pitching himself as a counter-narrative against the so-called political correctness culture, said Andy Markovits, a University of Michigan comparative politics professor and author of the book, "Gaming the World: How Sports Are Reshaping Global Politics and Culture." The real estate mogul is telling them "enough of this compassion, enough with this weak … we've got to win again, end of story." In endorsing Trump, former Notre Dame basketball coach and ESPN personality Digger Phelps made the comparison outright. "Coaches know how to get things done. Donald Trump is one of the great coaches in this country," Phelps told a rally in South Bend, Indiana, while also mentioning he's hung out with Trump at boxing fights and golf events. But outside of the shared value of hyper-masculinity, something Hoberman — a strong critic of Trump — called "posturing," many of the athletes who have endorsed Trump have fit into the demographic already supporting the presumptive GOP nominee. Analysis has found his strongest support came from white men with less education who are fed up with the state of politics in the U.S. If athletes attend college at all, they often leave early, or take an easier academic course-load to focus on athletics. 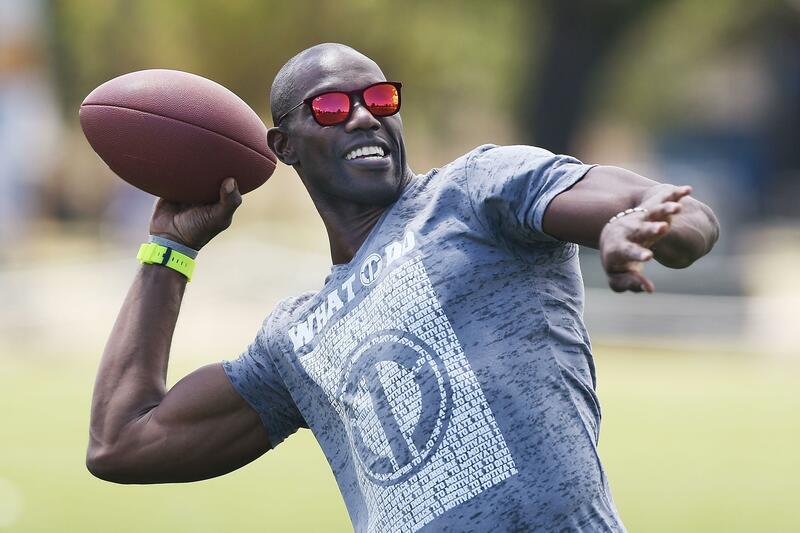 And while the majority of Trump's sports endorsers have been white men, there are some notable exceptions like Rodman, Tyson and former NFL star Terrell Owens (Owens and Rodman starred in Trump's reality TV show "Celebrity Apprentice"). Markovits speculated that Trump's pitch appeals to the "the insecurity of white men: 'We’re not winning, nothing is secure anymore.'" National polls are starting to show the race between Clinton and Trump could be tighter than many might have expected. It's a long road to November's vote and every advantage matters.